TO SHOW YOUR CUSTOMERS WHAT THEIR AWNING WILL LOOK LIKE. 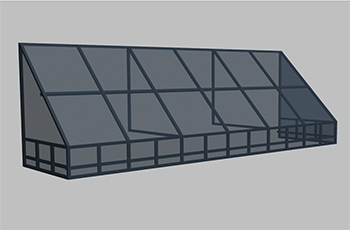 Without the need for CAD experience, take a picture of your customer's building and use pre-built 3D models of different shade structures, new dynamic objects and manufacturer-specific fabrics to show your customer exactly what their shade structure will look like. 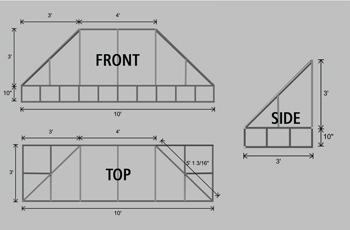 Customize the shade structure or awning with different fabric patterns, valance styles, graphics and text. Simulate what kind of shade the customer can expect based on their location, direction the building is facing, on a specified date and any time of day. Scale backdrops using a known measurement from the building such as the height of a door. 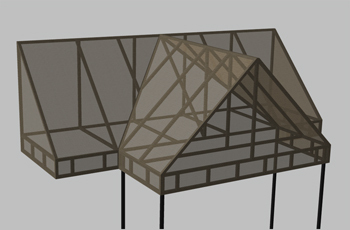 Dynamically generate entire 3D models, including fabric and frame components using a comprehensive set of parameters that allow the creation of dozens of different awning options from a single model. Add left or right corners to follow sidewalks or wrap awnings around buildings. 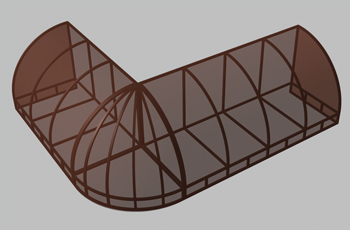 Create CAD-like drawings with dimensions for use in your shop or for permits. Take standard awning styles and make adjustments to the frame quickly. Take standard awning styles and quickly adjust frame options such as rafter spacing, spreader bar spacing and lacing bar height. Add standard and custom dimensions and generate orthographic views for any object. Start with standard combination style awnings and quickly customize spacing and add poles. 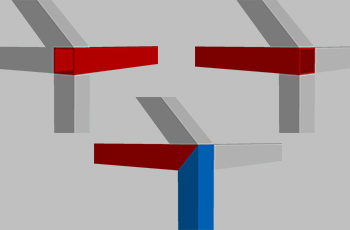 Easily create inside and outside corner awnings by adding awning segments together. Click www.awningcomposer.com to download a 15 day trial or purchase online. Set your preferences for master bars by using a drop down box to select master bar by location and set miter angle preferences.